Explore central Dalmatia with Zizoo on a Bavaria 46 charter yacht in Trogir. Sailors around the world have fallen in love with Bavaria Yachts, like this 46 model. It is no wonder considering Bavaria’s reputation for high performance yachts that are comfortable and affordable. As one of our newest additions to our Adriatic fleet, the 2016 Bavaria 46 has innovative features to ensure easy sailing without compromising comfort and style. 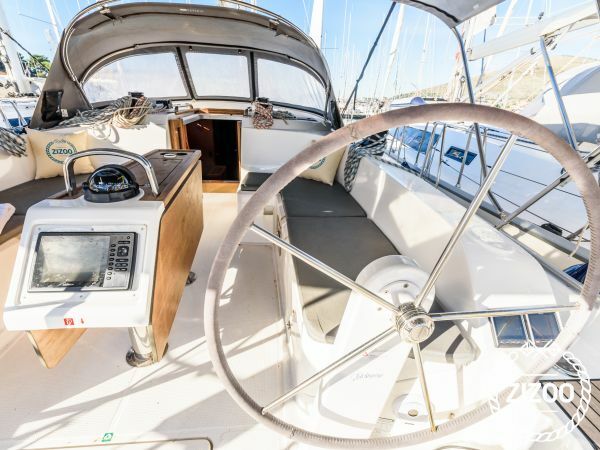 The yacht’s large, double helm cockpit gives you and your crew plenty of space while navigating the calm waters of the Adriatic with ease. Need some inspiration for your sailing holiday in Trogir? Check out our island hopping sailing route in Dalmatia and learn more about the World Heritage City here. The Bavaria was exactly as it it on the photos -- very happy with everything. Wir Können uns nicht beschweren. Der ganze Urlaub lief reibungslos ab.